What hasn’t already been said about the comedic queen of gab’s untimely passing? Yes, she was an acerbic tongued, plastic surgery addicted crowned KING of reading our thoughts and hilariously saying them aloud, without blushing. But that was Joan Rivers. The mean girl we would begrudgingly admit to literally LOL-ing over her flippant evisceration of Nicki Minaj’s red carpet getup on “Fashion Police.” Or revel at her exchanging insults with the world’s most famous pig and then getting into a red carpet throwdown. Yet, as accustomed as we were to Joan Rivers, Joan Rosenberg (her birth name) was someone we are just now getting acquainted with. She’s the gal that didn’t get the headlines from making a Ray J sextape because she was too busy volunteering for God’s Love We Deliver every Thanksgiving. Joan volunteering at God’s Love We Deliver. 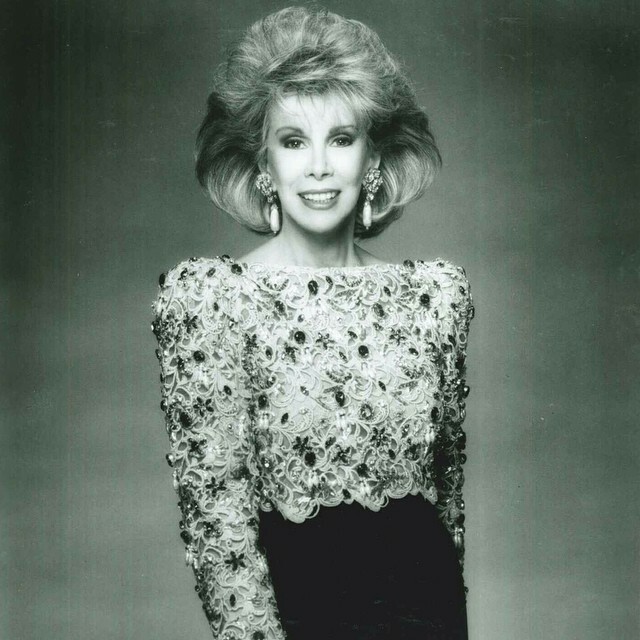 Joan Rivers, you will be remembered for your brilliance as a comedian, but we at AFSP want to thank you for inspiring so many survivors of suicide loss to speak out and find their way forward after the death of a loved one. Your courage and your work helped give the suicide prevention efforts in the United States the momentum they needed to become a national movement. We’ll miss you. And became just as adamant a supporter for the Guide Dogs for the Blind. In fact she was going to be the guest of honor at the Canine Heroes Auction later on this month. As we say a fond farewell, judging by her last requests it will be a star-studded one, to a comedic pioneer let’s also give a nod to the generous spirit that was rarely seen, but will be dearly missed.